*Registration for this season is closed! Check back in January for more information on our spring session! Impress your Japanese friends and family with your sophistication about Japanese tea culture. 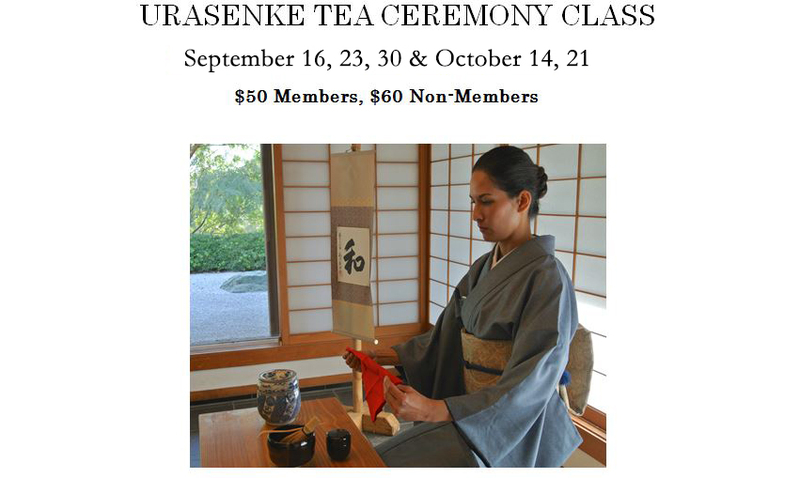 The Urasenke San Diego Association will hold its autumn tea ceremony class beginning September 16. Learn about the history of the tea ceremony, tea drinking etiquette, and how to properly use fukusa linen and sensu fans during a tea ceremony. The teachers are experienced, friendly, and enthusiastic about passing these traditions to the San Diego community. These five-session adult introductory classes are $50 for members and $60 non-members. All materials are included in the price. Students should be available for all five Saturday classes. Please join us for this special cultural experience!